'Tude and the chops to match. 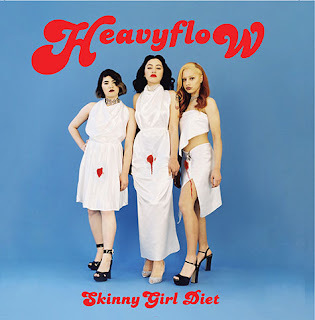 Skinny Girl Diet's "Yeti," which was pulled from the group's upcoming debut LP, Heavy Flow, is infused with the familiar malnourished outlook that has in the past informed and fueled rock music of this sort. As fast and loose as the term "punk" is slapped onto any uptempo melody and runny nose vocal, Skinny Girl Diet reclaims some of the genre's anxiety, impending dread tonally plucked out of those bass strings and an AmRep-learned sensibility scraped together into something new that I feel like I haven't heard in quite some time. Heavy Flow will be out 9.23.16 via Fiasco. The track was provided by mutante-inc. 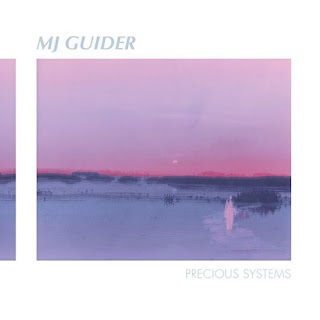 The trio MJ Guider will be releasing their album, Precious Systems, on 7.15 via Kranky. Two tracks from the album surfaced online today, "Former Future Beings" and "White Alsatian." Expansive and ambient, both songs have a floating and immersive quality about them that's enhanced through layered, discernible instrumentation and vocalist Melissa Guion. During "Former Future Beings," in particular, Guion is able to compete with some very deep and enveloping, though lush, sounds, her voice an added embellishment in some ways to its gently composed maelstrom. These tracks were provided by Rarely Unable PR. Unfortunately, I wasn't able to embed them, but you can still access them below.